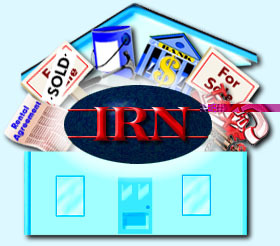 The Internet Realty Network (IRN) has created gorealty.com to answer your questions about real estate and related services. Inside this site, you’ll find information to assist you with buying, selling, owning, holding, and maintaining real estate. Be sure to bookmark and return regularly to gorealty.com. We are growing quickly and will be continually posting new information and services. Look for our animated "Featured Member" buttons located throughout gorealty.com to help you identify and instantly access new information sources. If you have suggestions or comments, please call our information line at 1-800-983-1100, xIRN (476) or e-mail [email protected] for prompt attention.